Retrievers are among the most loved and lovable of dogs worldwide and there are quite a few different types of retrievers. Originally bred to retrieve fishing nets in Newfoundland, this breed has developed into a versatile one. From family pet to working dog, this friendly and obedient animal can accomplish just about any task meant for dogs. These dogs were brought over to Britain from Newfoundland and were originally called St John’s water dogs. They were bred to be working animals and are loyal, obedient and hard working. Tail. Their tails are used as rudders, being paddle shaped like an otter. Coat. The thick coat is water resistant. Soft mouth. This makes them perfect for retrieving in a hunt. Active. These dogs need a lot of exercise. 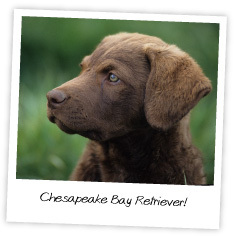 Nicknamed “Chessies”, this variety of Retriever has a few characteristics that set them apart from the other types of Retrievers. They were raised for duck and waterfowl hunting in adverse weather conditions so they are extremely strong and powerful dogs. Territorial. 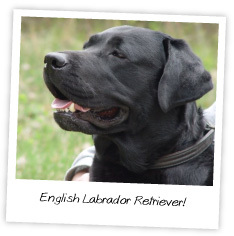 Unlike most Retrievers, these dogs make good watchdogs, whilst retaining the calm and obedient temperament that makes them wonderful family pets. Broad chest. Their strong chests were bred for ice breaking. Oily coat. The thick, wavy double coat is water resistant. Distinctive eyes. The yellow or amber eyes of the Chessy distinguish it from all other Retriever types. The rarest of the Retriever family is the Curly Coated Retriever. 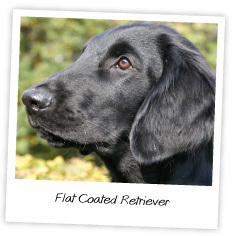 Originally bred as gun dogs, they are more aloof than other types of retrievers with a characteristic coat. Coat. Tight, flat curls on a single coat make this dog quite unique. Long legs. These dogs are taller than the other types. Endurance. 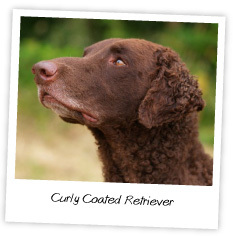 The Curly is an agile and athletic dog, requiring a lot of stimulation and exercise. Intelligence. These dogs are reputed to be extremely smart and bore easily with repetitive training. The least known of the breed, these dogs have a long, smooth single coat. Show dogs. Their beautiful rich coloring of either dark brown or black and their elegant good looks make them perfect show dogs. Peter Pan temperament. They are boisterous, intelligent and active and never grow up. 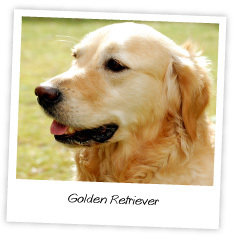 Patient, obedient and muscular makes the Golden a loyal family pet as well as a good working dog. Guide dogs. Because of their friendly and patient disposition, Goldens are well suited as guide dogs and as search and rescue animals. Muscular. They were bred for hunting and retrieval. Origin. The breed can be traced back to Newfoundland. Color. 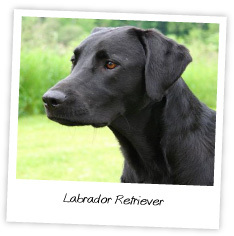 There are three main colors of Labrador Retriever, namely black, yellow and chocolate. Temperament. Strong, sturdy and reliable, these dogs are intelligent and popular. 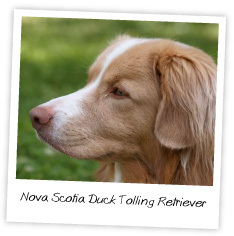 This is the most recently developed breed of retriever and is smaller than the rest. Active. This dog is more active physically and mentally than most other types of Retrievers. Fox like. The head has a foxy appearance and the double coat is a distinctive red, ranging from golden red to dark copper, with a feathered tail. Happy and curious. An intelligent dog that requires stimulation. It is easy to see why the Retriever is such a popular dog. Their strength lies in their versatility and amiable character which make them equally valuable as pet or worker through all the different types of Retrievers.